The Small Business Institute (SBI) will hold its first of two small business indabas at the Bryanston Country Club, on April 11, where three major South African political parties will debate their manifestos. The indaba will be held under the theme “Creating jobs against all odds”, with the Democratic Alliance (DA), the African National Congress (ANC) and the Economic Freedom Fighters (EFF) expected to discuss how they plan to create jobs for the millions of unemployed South Africans. SBI executive director Bernard Swanepoel said in a statement on Monday that it will be the first event where the parties have agreed to share their visions of the economy and to do so in front of a live business audience. The political debate panel will be moderated by SBI nonexecutive director Lumkile Mondi, featuring Small Business Development Minister Lindiwe Zulu, DA MP Tony Chance and EFF Gauteng chairperson Mandisa Mashego. 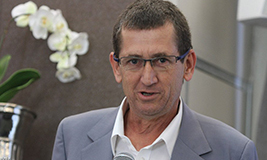 While we remain an apolitical organisation, we think it is important that small businesses, which [face] odds like load-shedding, late payments and regulatory red tape stacked against them, get to hear first hand how the three big parties in the country will create an enabling environment for this segment of the economy,” said Swanepoel. Other highlights of the day will be keynote addresses by Business Unity South Africa president Sipho Pityana, ANC MP Nozabelo Bhengu and entrepreneur and author GG Alcock.